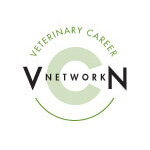 Veterinary associate wanted for strictly small animal clinic in northeast South Dakota. This area is a sportsman’s mecca with lots of fishing and hunting opportunities. Our clinic is located in Aberdeen, which is the third largest city in the state and is growing daily. Aberdeen is located within driving distance of Sioux Falls, Fargo and Minneapolis and offers a charming and cultural reputation of its own. We are looking for a dedicated and motivated individual to be a part of a well-established clinic. Call 605-229-1691 or email drrobin@midconetwork.com for more information.